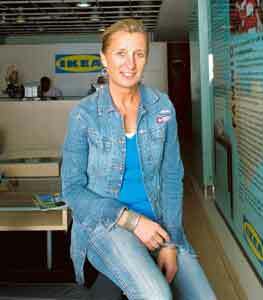 Chennai: The world’s largest furniture retailer Inter Ikea Systems BV (popularly known as Ikea) may have shelved its plans to set up shop in India, but the Swedish company is keen to add more Indian suppliers to its rack. The move—the first of its kind in several years—aims at increasing India’s paltry 3% share of Ikea’s worldwide purchases that will shrink its overarching dependence on Chinese manufacturers contributing 21% to Ikea’s supply pie. At a four-star hotel in Chennai last month, nearly 35 makers of textile, steel and plastic products—some having flown down from Punjab and Gujarat—gathered to learn about Ikea’s supplier requirements. Over dinner, they hobnobbed with the retailer’s New Delhi-based trading manager for South Asia, Susanne Pulverer Bergstrand, and existing Ikea suppliers. “China is our biggest sourcing market but we don’t want to be dependant on one market and we think India presents an opportunity," Bergstrand told Mint on the sidelines of the supplier meet. “Raw materials like cotton and steel are readily available, which we could benefit from." As the budget furniture company runs lengthy checks and audits on new suppliers’ factories, sourcing from India is expected to inch up a little more than the 10% growth seen last year. But in five years, Bergstrand expects Ikea’s new Indian suppliers to chip in €500 million (around Rs3,500 crore) worth of products for the company, double the €250 million from existing Indian partners. “There is some level of discomfort with Chinese policies where the economy is not free (market-driven) but largely government-controlled," says Pinaki Ranjan Mishra, partner at accounting firm Ernst and Young. “So companies want to diversify their risk and have India also as a major source rather than just depending on China." Ikea, known for its low-priced, do-it-yourself assembly furniture designed in minimalist Scadinavian styles, has been anxious to enforce stronger belt-tightening measures after feeling the heat from price-cutting rivals during the economic downturn. In 2008-09, worldwide sales touched €21.5 billion with growth being in the low single digit compared with strong double-digit growth the previous year as the housing bubble bust hit demand for home improvement and styling products. Earlier this year, the company cancelled a $1 billion (around Rs4,700 crore) investment plan to start retailing in India after the government refused to raise the 51% foreign ownership cap on single-brand stores to full ownership. Still, the Scandinavian group opened 15 stores in 11 countries that increased its sourcing needs. India has been on Ikea’s map for more than three decades as a destination for textiles and carpets with nearly 2,000 made-in-India articles sold in close to 300 stores worldwide. But the company is interested in tying up with Indian suppliers in the plastics, steel, lighting and natural fibre categories as well. As a retailer who lowers prices on products every year and is currently languishing amidst lacklustre sales, Ikea is looking for suppliers who can shrink costs through size. And after the brand took a hit in the 1990s for employing contractors in South-East Asia who used child labour, there is a heightened expectation from its manufacturers about control over the entire supply chain to ensure compliance with ethical business practices. “We could move some of the sourcing from countries such as China and Turkey to India but if 10 years ago we could do with a medium sized supplier, today it doesn’t help us," says Bergstrand. “We also want our suppliers to be vertically integrated. For example, if you are a textile manufacturer, we want you to have control of the dyeing unit and have a water treatment plant to be compliant with our environmental norms." So while it has set a target to double its sourcing from south India from the existing €50 million, it is only eyeing companies that have economies of scale which aids lower costs and those controlling a big chunk of their manufacturing and supply chain processes. At the Chennai interaction with the company, some prospective suppliers complained about Ikea’s integration or control from farm-to-ship requirement as being unrealistic in a world aiming for lower costs through specialization and outsourcing. And then there’s the danger of raising the decibels of labour unrest, as is the case in the Indian auto sector, if you employ a large workforce in a vertically integrated setup. “Outsourcing is a norm today and companies try to specialize in certain processes and outsource others," says Milind Munglikar, a director at Zen Linen International Pvt. Ltd that logged Rs60 crore of exports last year and claims to be one of the largest Asian exporters of pillows and cushions. This prospective Ikea supplier that also supplies to French retail chain Carrefour SA and saw a big dip in US exports last year, has gone through various audits with the furniture maker over the past one year, implementing suggestions for worker safety such as adding a mesh to certain machines in its factory located in a special economic zone in Chennai. But Zen Linen executives are still waiting to hear back from the Swedish chain whose enthusiasm, they say, seems to have waned after the initial excitement last year. But N.R. Venkatachalan, a supplier based in the central Tamil Nadu district of Karur, who has manufactured bedspreads, curtains and other furnishings for Ikea since 1982, knows that the retailer is looking for long-term supplier relationships and is not going to be in a hurry to marry. Venkatachalam, whose firm Asian Fabricx Pvt. Ltd buys yarn from another producer but has inhouse dyeing, cutting, stitching and packing units, has no sympathy for exporters complaining about Ikea’s integration demands. “In this business environment, you have to fulfil the total requirements of your client," says Venkatachalam, 68, a former lawyer whose business has grown from Rs4-6 crore in 1992 to Rs80 crore last year. “You have to offer a competitive price, quality product and timely delivery and only then will they be happy and keep buying from you. Otherwise, they will just go to another country."